No Australian poet has had a greater impact on my word-scribbles this year than Nathan Shepherdson. Apples with Human Skin was the catalyst. This is a fierce book, a tesseract of tumult and brittle nettles, tagged and numbered and sent back out to pierce the forest floor. See, understand this: Apples with Human Skin was my guidebook this year – a map for a Gieβen raised, Los Angeles educated, Berlin survived, Fremantle located cat. Do you know the story of Austrian Expressionist poet Georg Trakl? Go look him up. This is important. 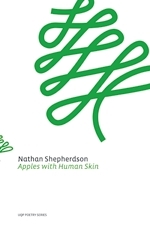 Nathan’s book is named after Trakl’s ein Apfel mit menschlicher Haut. To end, a snippet of ‘to find what is not there’, one of Nathan’s longer pieces in the volume. The concept of beloved left-behinds being an index of those who’ve passed on is poignancy through and through. 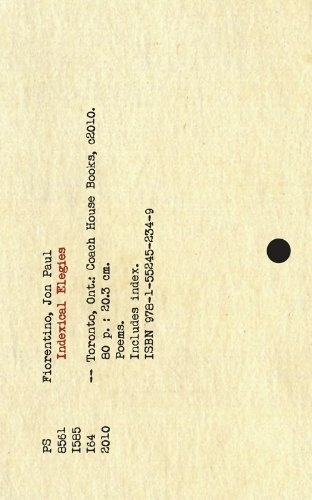 Comprising three sequences, the title sequence of Indexical Elegies is in memoriam of Canadian Jon Paul Fiorentino’s late mentor Robert Allen. The index is physically connected with its object; they make an organic pair. Deep into a Brisbane night, Jon Paul told me to get hooked on Sorrentino. I got hooked. …I inhale that ish because I’ve lived that. I still live that. 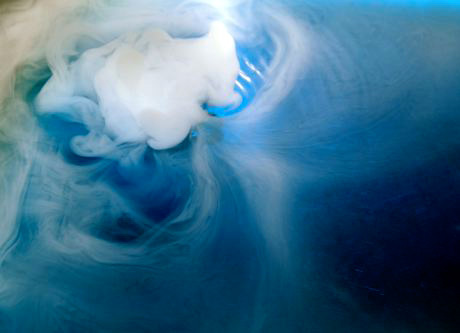 I inhale it and exhale only the ink. High wit and dark humour oscillate despair, fury, loneliness, sadness and clang the drainpipes of Fiorentino’s hometowns of Winnipeg and Montreal. Sometimes it’s the smile hiding the clenched jaw. Sometimes it’s the flurry of word movement distracting from the bleary-eyed sleep deprivation. Actually, scratch all that glib; forget everything in my note thus far. Remember only this: Indexical Elegies is profound. I am deeply moved. I hadn’t had much to do with German poetics since regal 8 // shelf 8 was inducted into the Deutsches Literaturarchiv. Thankfully Marcus Roloff had a hand in making it an obsession again. I met Marcus through Black Rider Press when we translated some of his work for The Diamond & the Thief. We later translated more of his work for Berlin’s no man’s land, partner to the infamous lauter niemand magazine. And we’ve got more we’re sitting on. 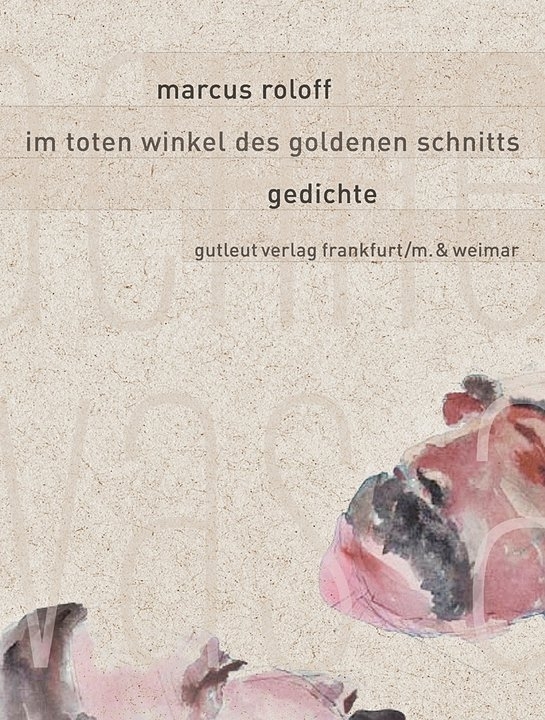 im toten winkel des goldenen schnitts (this roughly means in the blind spot of the golden ratio – if you don’t catch the various references and entendres in that, I’m not going to tell you) just came out recently and it’s the linguistic cartography, both of physical and metaphysical, that amazes. And also the typography – this book feels alive with its cover that folds out to reveal the entirety of the watercolour painting Dead Philosophers by Trevor Gould. Marcus’ bio isn’t even in the book; it’s hidden on the back of the cover’s painting. I didn’t even notice it for ages. This aptly summarises his approach. Marcus writes the way I’d imagine Pantha du Prince songs circa 2004 would read if all the notes were words. 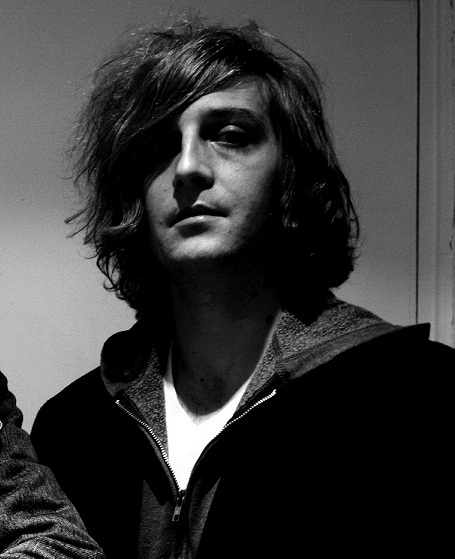 I see Marcus as the kind of poet who went out into the desert and came back to the city of Frankfurt am Main with a more expansive Truth and a de-centred self, clandestine urban operettas and a big ole bassline. This is historiography for the deep-house kids. This is philosophy for the hopeful and bright-eyed kids. This is what it is for the introspective and fearless kids. Jeremy Balius looks after Black Rider Press and hangs out with the Cottonmouth kids. You can find him at Am I the Black Rider? Yes. He writes for the last of the red hot lovers.